As 2018 rolls in and the rest of the world seems like a bit of a dumpster fire here is something that will calm your nerves and make you feel that maybe not everything is wrong with the world. 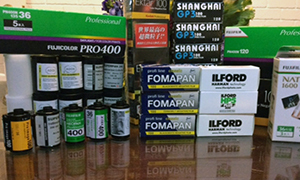 Some lovely film stashes. 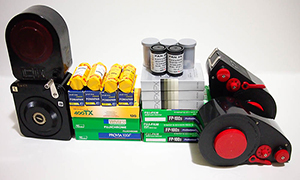 Here are some photos of parts of my film stash, which have now grown to 300-400 rolls and mostly consists of discontinued films. I’m a new convert your Japan Camera Hunter by way of your various guest appearances on YouTube. I wished to participate in the film showing. I’m Paul, a portrait photographer from Boston, Massachusetts. Recently I’ve resurrected my Uncle Frank’s Minolta SRT-202 and thanks to a couple eBay wins I have a ragtag collection of expired-ish 35mm film. 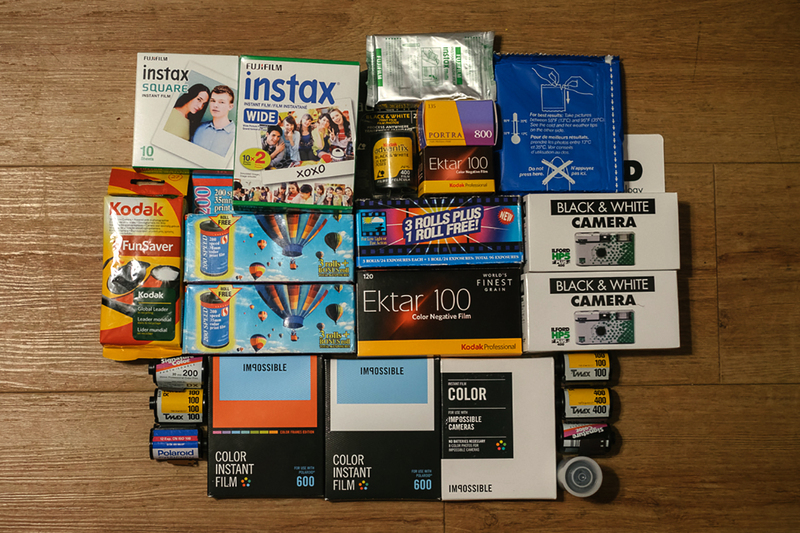 I bought the Portra and Ektar 35mm, like a true adult. I also purchased a Mamiya RB67 as well, with more of that glorious Ektar. I call my RB67 “Baby”, because it weighs as much as a toddler. The disposable cameras and instant film are something I’ve always shot alongside my digital work. The 35mm and 120mm film is new to me, most photographers my age would say that they have roots in film from high school or art school. I was a late bloomer and didn’t get into photography until about 6 years ago, and at the time I just jumped into mirrorless digital shooting. So in a way I’m going backwards. I was seduced by the forever-ness of of fully mechanical cameras versus the dog eat dog world of megapixels. It literally took me one roll of Fuji Superia Xtra from Wal-Mart before I felt that I was on board with getting myself into film portraiture. I attached some examples of that. My name is Jón Bjarni and I live in Copenhagen, Denmark. I mostly do streetphotography and portraits, and my all personal work is shot almost exclusively on film. So I thought I’d share my film stash! When I was arranging this shot I figured I have films stuffed away in the freezer, in the fridge and in cabinets all over my apartment. So I think it was pretty nice to do a status. I rarely shoot slides, mostly because I develop the films myself and I don’t have experience with E6. And I like the wider dynamic range of negative films. My go to color films are Fujifilm Pro 400H and Pro 160NS, I love the beautiful tones these films produces. 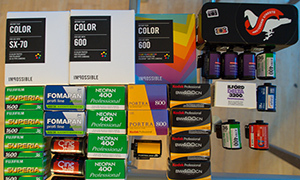 I also really like Kodak Gold 200 and Fuji Superia 200 – So I’m very sad to see my Superia 200 stash dwindle, knowing that I can’t get any more. I’m terribly bad at decision making so I’m constantly switching between Ilford Hp5, Kodak Tri-X and Rollei Rpx 400. I like them because of their pushing properties, I mostly shoot them at 1600. Also, please make sure you submit your film through the link below, otherwise I might miss it (This is vital as I get an awful lot of mail).